MNR MEDIA RELEASE – Public Help needed! 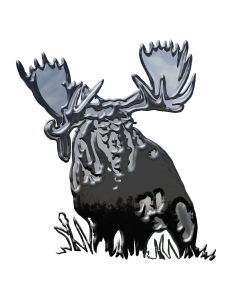 The Ministry of Natural Resources and Forestry is seeking the public’s help in identifying the person or persons responsible for shooting two moose south of Perrault Falls along Highway 105 near Aerobus Lake Road. The moose were shot between 8:00 p.m. on February 16 and early on February 17, 2015. Members of the public notified the ministry’s Kenora District office of the incident on February 17, 2015. If you have any information about this incident, please contact the MNRF TIPS line at 1-877-847-7667 toll-free any time or call Crime Stoppers anonymously at 1-800-222-TIPS (8477). You can also call the ministry’s Kenora District office during regular business hours at 807-468-2501.